Fresh design with grid layout, infinite scroll, and large fonts with ample white-space makes Fotoshot theme the best bet for your Photoblog on WordPress. 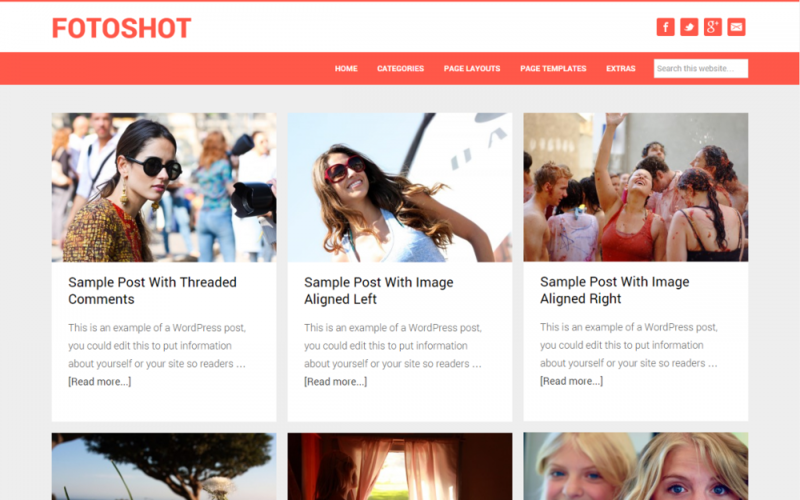 Fotoshot WordPress theme is a Pinterest style theme for your photoblog, reviews blog and the like. The theme supports infinite scroll and easy pinning and sharing of featured images. These features can be turned off if desired. Fotoshot theme is created using the Somo Framework making your site social, mobile and search friendly.